After an eleven-year-old Kimberly Guilfoyle lost her mother to leukemia, her dad wanted her to become as resilient as she could be. He wisely taught her to build a solid case for the things she wanted. Creating a strong logical argument was the best way to ensure that she could always meet her needs. That childhood lesson led her to become the fearless advocate and quick-thinking spitfire she is today. Learning how to state your case effectively is not just important for lawyers-it's something every person should know how to do, no matter what stage of life they are in. 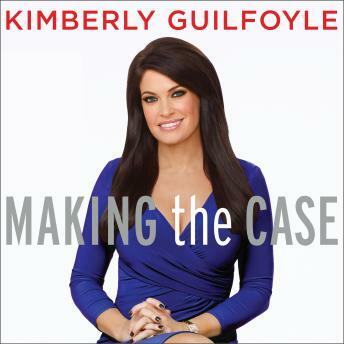 From landing her dream job right out of school, switching careers seamlessly midstream, and managing personal finances for greater growth and stability to divorcing amicably and teaching her young child to advocate for himself, Guilfoyle has been there and done it. Now she shares those stories, showing you how to organize your thoughts and plans, have meaningful discussions with the people around you, and achieve your goals in all aspects of your life. You'll also learn the tips and strategies that make the best advocates so successful, some of which come directly from courtroom scenarios where the stakes are highest.